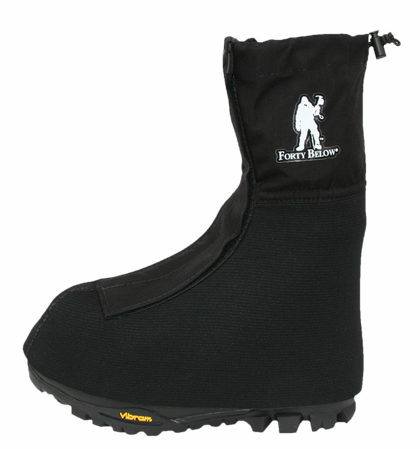 The Forty Below® Overflow Supergaiter™ is an insulated gaiter primarily for bike shoes that also helps keep water out of the boots from river overflow. They must be attached by glue to the boot and are permanent once attached. Please see below for more details about this product. To Order: Please provide details about your boots and crampons in the boxes below. We will select the proper size for you based on your boot information. 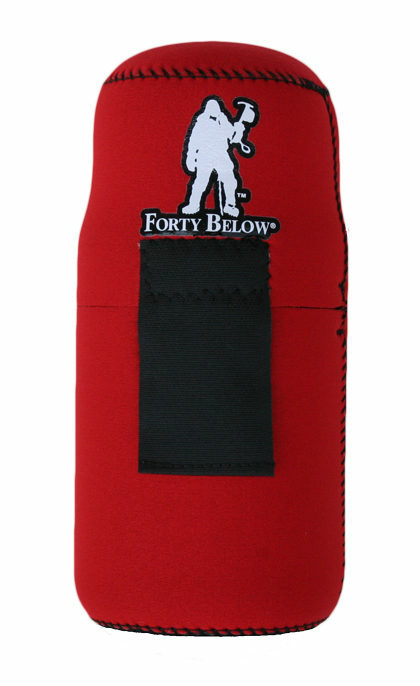 The Forty Below® Overflow™ supergaiter is a unique glue-on style insulated gaiter for maximum insulation in cold environments, and protection from river ice water “overflow”. This supergaiter must be glued permanently on to a bike shoe, cross country ski boot, or mountaineering boot. The design and components are focused for the application to help insulate these types of footwear in extreme cold temperatures, while also helping provide protection to keep water out of the boot area in case of an interaction with overflow water. Attachment to the boot must be done by the user, permanently, gluing them to the boot. This is typically done using Barge Brand rubber sole cement, or other glue that is designed for attaching rubber soles to shoes such as contact cement for rubber and plastics. We have been helping make and modify our boot covers for riders for over 20 years, primarily in a custom mode. 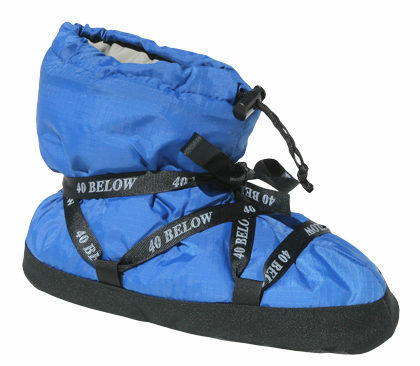 The Forty Below Overflow Supergaiter is now the result of those experiences and input from users. We really appreciate the interest and look forward to helping folks keep those toes nice and warm! These have been in use from riders and racers in Alaska and other cold places, users who have been able to have happy toes while riding and using them in -30 to-40F. Please contact us if you have any specific questions. Happy Riding! FITS: Primarily for Bike shoes. Will also fit some cross country ski boots, and some mountain climbing boots. FITS: Bike shoes, cross country ski boots, mountaineering boots-single not double shelled. 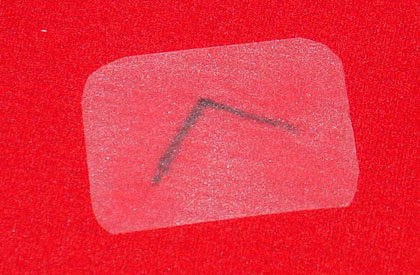 INSULATION: 6.5mm thick nylon covered Neoprene foam (stretchy wetsuit type material). Woven style nylon outer fabric for more durability. FRONT Closure: 1.5 inch wide (38mm) hook and loop, full length to toes for easy lacing. 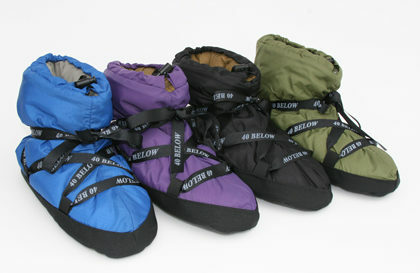 GAITIER: Coated waterproof nylon, with elastic drawstring and cord lock. 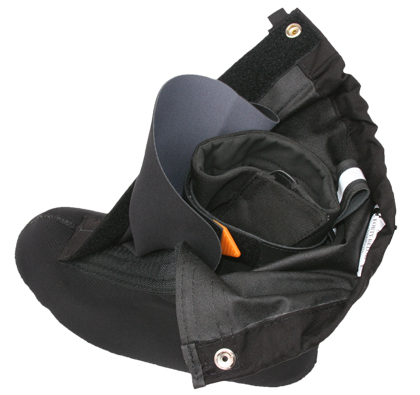 INTERNAL GUSSET: Full size, located underneath hook and loop closure for internal waterproofness (leaking hook and loop). 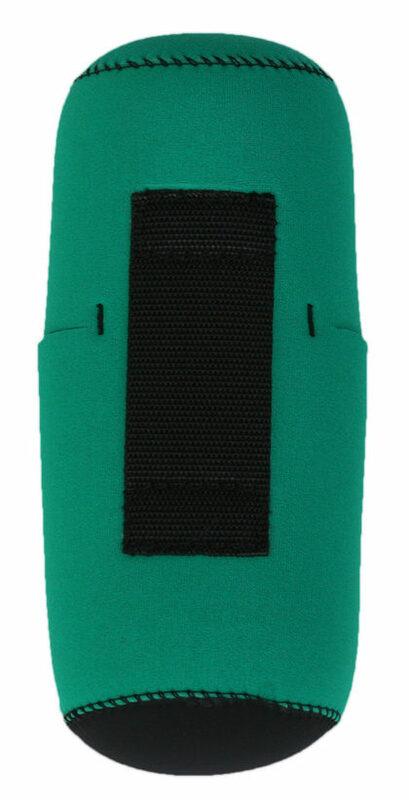 Made of 2 mm nylon covered neoprene. Medium: fits most bike boots size 6-8 (EU 37-42) Trim to fit. X-Large: fits most boots size 10 to 16 (EU 46-50) Trim to fit.